Through the 1980s and early 90s, Frank Henenlotter was one of the most unique, creative filmmakers from the height of the VHS era. His movies Brain Damage and Frankenhooker were inspired pieces of warped lunacy and remain among my favorites to this day. But for many people, Henenlotter is still best remembered for his 1982 debut, Basket Case. The Bradley brothers, Duane and Belial, returned in a 1990 sequel and made their final appearance to date two years later. A word of caution: I wouldn’t advise watching Basket Case 3 without having seen Basket Case 2 first. 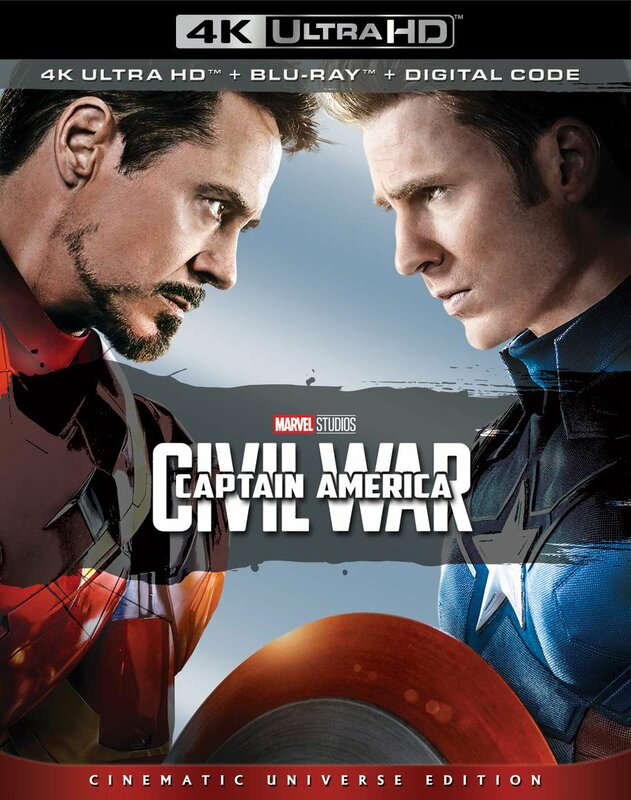 The movie starts where its predecessor left off with a madcap furor of footage from the previous film. If you haven’t seen it, you’ll spend the first five minutes or so trying to figure out exactly what the hell is going on here. After an unsuccessful attempt at sewing his twin back onto his side, Duane (Kevin Van Hentenryck) has spent several months locked in a padded cell in the basement of Granny Ruth’s house of freaks. He returns to some semblance of sanity just in time to learn that he’s about to become an uncle. Somehow Belial and his equally sawed-off girlfriend Eve have managed to procreate (best not to dwell on the specifics of that). But it’s going to be a difficult birth, so Ruth (Annie Ross) loads up the freaks in a school bus and takes everyone on a road trip to Georgia to visit Uncle Hal (Dan Biggers), the only medical man Ruth trusts. Basket Case 2 seriously upped the ante on weirdness from the original with its bizarre collection of human oddities. Basket Case 3 suffers in comparison by simply offering up more of the same. Even so, the elaborate makeups remain impressive and highly imaginative. The movie also doesn’t provide a very strong antagonist. I was never convinced why the sheriff (Gil Roper), who at first seems sympathetic to the deformed, suddenly turns against them. But there’s still a lot to enjoy, including a hilarious scene with Annie Ross leading her charges in a sing-along of “Personality” and the over-the-top performance of Jim O’Doherty as Little Hal. Synapse brings Basket Case 3 to DVD in its original aspect ratio for the first time. It’s a very pleasing image with bright, vibrant colors and in surprisingly good condition. The audio is a satisfactory Dolby Digital 2.0 stereo affair that isn’t going to knock your socks off but gets the job done. The lack of extras is a disappointment. Henenlotter can usually be relied on to provide at least an interview or commentary but no such luck here. A spoiler-riffic trailer is the only bonus. 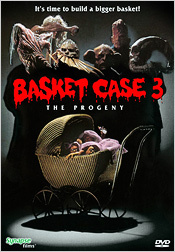 Basket Case 3 would be Henenlotter’s last film for awhile. He didn’t return to the director’s chair until 2008’s Bad Biology. I don’t know the reasons behind his prolonged absence but I hope he doesn’t take another long hiatus. Basket Case 3 is probably his least successful film but it’s still worth checking out. The highlights outweigh its short-comings. If nothing else, it’s a movie that no one but Frank Henenlotter could have made.